Your Contact Center is a huge driver of customer satisfaction. For many of your customers, the Contact Center is the primary interface with the business. Your Contact Center personnel are some of the most important people in your organization. They are responsible for creating the experience that retains customers– or loses them. 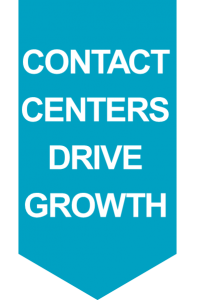 What’s changing in Contact Centers? 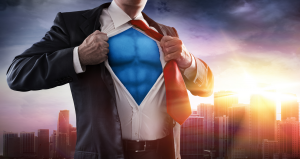 What does the successful Contact Center agent of the future look like? Contact PDG to learn how our insights and solutions can help transform your Contact Center. 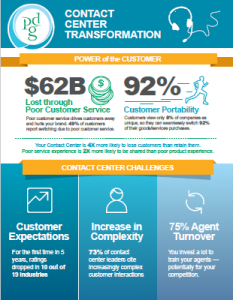 Download PDG’s infographic, The Contact Center Transformation. 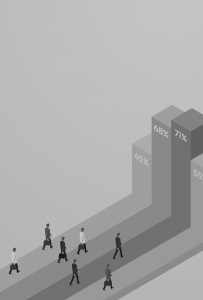 Can you measure the true ROI of Contact Center improvement? PDG’s Contact Center ROI Calculator translates your development efforts into metrics your business cares about. Contact us to learn more. 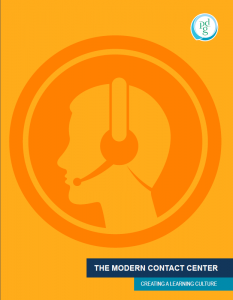 Read our free White Paper, The Modern Contact Center: Creating a Learning Culture.